The National Weather Service has now canceled the watch, and replaced it with a warning. They’re now calling for winds of 25-30 knots tomorrow, with gusts to 40 knots; waves to 14 feet nearshore and 18 feet offshore, and significant erosion with minor coastal flooding. It’s snowing and blowing at the moment, and we’ll have to see about the rest once it gets light in 9 hours or so. Hello – have just found your blog – been following the sea ice webcam for years from down under – used to live in Fairbanks for years. Have bookmarked your blog site and will be back – how interesting!!! Thanks for taking the time. Regards. What is the burm you can see at the shoreline in the sea ice webcam at Barrow – it seems higher now after the high winds/waves – is it sand/seaweed or? Thanks for your comment. It’s actually a “gravel” berm. That area is really prone to flooding, and Public Works adds to the berms before big storms (and during them if necessary). 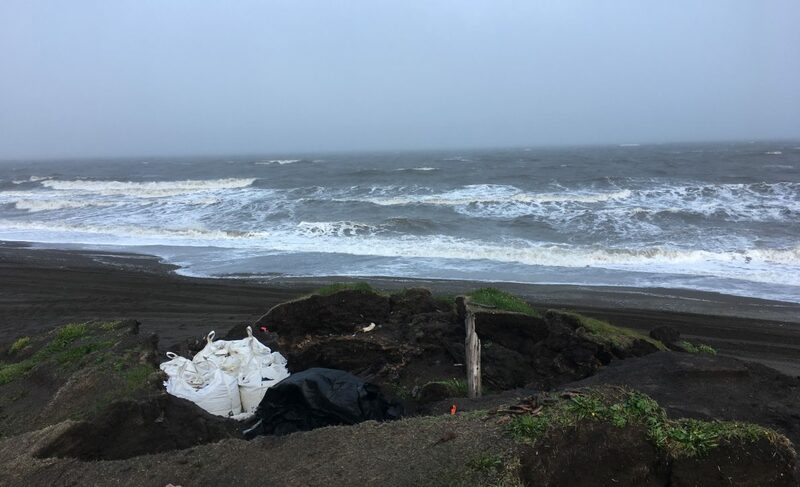 They had to fix the berms all along Stevenson Street Friday night and yesterday, because the ocean was washing onto the road in places. For anyone else reading, I’ve added a link to the Sea Ice Web Cam. It’s a good way to check the weather, at least as long as the sun is up :-). Thanks for your response , Anne – I didn’t notice any enhancement going on recently though I have seen them at it in the past. Regards. Sometimes when they have a lot to do & not much time they take heavy equipment onto the beach and push up gravel from there until they have time to truck more in.